Why Give Generously and Sacrificially? As Christ followers, God calls us to be generous not stingy, to be givers not takers. God has modeled the grace of generosity for us by giving His Son, Jesus Christ, as a sacrifice for our sins. When we give to our local church, we are actually giving back to God what is already His. Whatever financial gain we have is a gift from Him, and He asks that we give back a percentage of that to Him through the local church. The pattern in the Bible is to give a percentage called a tithe (ten percent). You are free to give offerings over and above your tithe as often as God leads you. One of the offerings over the tithe that many people participate in at Glenwood is Faith Promise Missions Giving. Find out more about our missions outreach and an explanation of Faith Promise Giving. 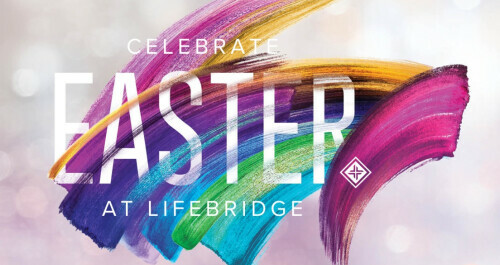 At LifeBridge, your Tithe & Offerings, as well as your Faith Promise Missions Giving, are a major way you demonstrate that you are a Christ follower who KNOWS Christ, GROWS in Christ, SHOWS Christ, and GOES with Christ. At the same time you are doing your part to help others KNOW, GROW, SHOW, and GO with Christ as well! In Person Every Sunday you have the opportunity to give using your giving envelopes or one of the pew envelopes. By Mail When you are not able to be in church, you can always mail your contribution to the church office. When it is received, it will be placed in the offering for the following Sunday. Online Online giving allows anyone from anywhere to make a financial contribution to our church through a bank account or credit card in the form of a One Time Gift or Recurring Gift. There is no registration required for One Time Gifts, but Recurring Gifts do require attenders and members to register.